This entry was posted in Crazy Socialism, Culture Wars, Domestic terrorism, Economics, You can't make this [redacted] up by Dymphna. Bookmark the permalink. As I have said many times already, AOC is not as dumb as the republicans constantly reassure themselves that she is. Just as democrats make the mistake of assuming Trump is a moron who only barely succeeded at business because of money he had inherited, as well as being an ex-reality tv buffoon and then wrapping that thought around them like a warm blanket, republicans are making the same mistake with AOC in assuming she is an ignorant former bartender with socialist proclivities. I am a lot closer to millennials age wise than I am to the dinosaurs of the boomer generation or the older Gen-Xers. I have an appreciation for how shrewd she is with social media and how she wields it and public perception like a surgeon wields a scalpel. Being photogenic never hurts in politics, and she also skillfully uses the perception that she is a poor underdog against the wealthy elites of her own party. Those on the right always seem to forget that they are not her target audience; her message is instead geared towards the younger Gen-Xers and Millennials who are only now beginning to discover just how badly they have been defecated upon by their elders. If anything, she is a female version of Trump when it comes to the waves she is making within her own party, and she has become a serious headache for the dinosaurs and octogenarians of the democrat party hierarchy. In my opinion, she is the most dangerous person on the democrat side of the aisle, and assuming Trump wins reelection in 2020, she will stomp the democrat dwarves into the ground when she runs for president in 2024. The demographics are also in her favor; her base of support is only growing while the dinosaurs and their voters die off on both sides of the aisle. Correct. Pity she is not eligible to run in 2020. For The Record, this is exactly how Nixon got his start. Back in 1948, Richard Milhous auditioned in front of a group of San Gabriel Valley businessmen who represented various interests in the valley that they felt Congressman Voorhis was not properly representing. The audition took place at the Ebell Club in Pomona on Holt Boulevard and the building is still standing. Common knowledge states that not a few of those businessmen represented the military/industrial establishment and whose flagship operation was General Dynamics which was in western Pomona until it was moved to Arizona. Nixon did a pretty good job of representing his employers’ interests all the way to the Viet Nam war. His fatal mistake was coming down with a case of good conscience and helping Israel during the Yom Kippur War which everyone thought at the time would go nuclear. He was fired for doing that and was forced to resign. AOC should learn the lesson of the moneyed masters that Nixon tried to ignore. The way she is running off at the mouth she is apt to find out what the moneyed elites are made of. It’s not clear who are the capitalist villains behind the Justice Democrats. The JDs, from their Wikipedia article, seem like a small-fry outfit that disburses $1.5 million a year. I always suspected that AOC has strong staff support. But she is still a human being with some agency. She represents a legitimate point of view that I mostly disagree with. People will continue to be attracted to the radical left as long as the Republicans seek to redistribute wealth upwards through massive tax cuts and cuts in Social Security, Medicare, and other programs that benefit most of us. I agree that she represents legitimate views although I don’t know if that is because she is a true believer or simply pragmatic regarding her own selfish interests. This is the source of my frustration with capitalism; the shortsighted nature of capitalists who in a race to the bottom will outsource production to third world nations while supporting the importation of illegals to undercut domestic labor costs, thus impoverishing their own countrymen. All the while, both parties representing the Boomers have stolen the wealth of generations unborn while living high on the backs of the underpaid labor of younger generations. In this sense, the socialism advocated by AOC has broad appeal to younger voters because it is the only means by which they might claw back some of the birthright which was stolen from them by their elders who should have had the decency to know better. Good points about capitalism and cronyism. But this country (and us in it) does not deserve socialism – I had lived in its better version (Central Europe) and it was utterly pathetic intellectually, deficient materially and corrupted beyond belief. If socialism is the future of America … I still hope it is not. Socialism doesn’t age well…I think it will have a short shelf life. However, the bank bailouts by the Feds in 2008,ff, allowed the face of crony capitalism to be seen without its mask. So it may be the case that we’ll have a brief encounter with socialism before it shuffles off. Won’t be in the immediate future and it won’t last long: there is some genetic quirk in the American DNA that will shrug it off. Perhaps by then, the crony capitalists will have been reined in. 2) The disability portion of SS has been totally scammed and people like you have said nothing. Everyone knew for years certain doctors will put you on lifetime disability even though you can work. It has cost the taxpayers $ billions. 3) Social Security is a stupid program that takes from Person A and gives to Person B. It could invest in the economy through equities or even gold for that matter but instead settles for lousy returns from US Treasuries. 4) Tax cuts return money to the person who works. If you don’t like that try the USSR or Venezuela. I wonder if AOC’s sponsors are the same bunch behind Dear Leader of Dystopia to your North? Maybe not, but the methodology is the same. Trudeau is legitimately an idiot. I wouldn’t trust him to pour me a beer without screwing it up, let alone mix a martini or an old fashioned. 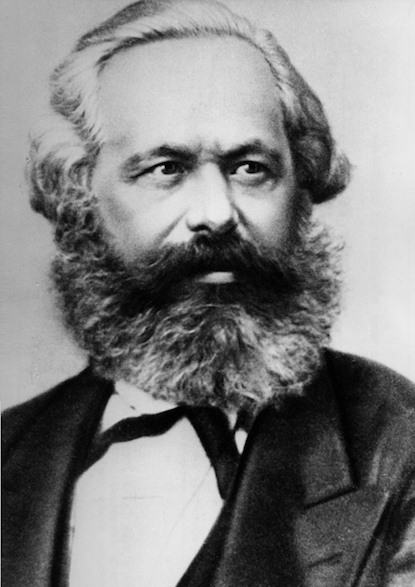 On the image preceding the video, she lacks only a huge white beard to look amazingly like Karl Marx. The shape and glance of the eyes, the cheekbones… Only the nose of the genius was somewhat more bulbous, but when she return to the bar, she could work on that. Leftists took over the city government in small and large California towns and cities years ago. At first they were not competent, but they learned on the job and eventually took larger cities and then the state as well. Some of them are now skilled legislators and bureaucrats. They get things done. Pelosi and Feinstein benefited from this trend. Now they’re on the chopping block.